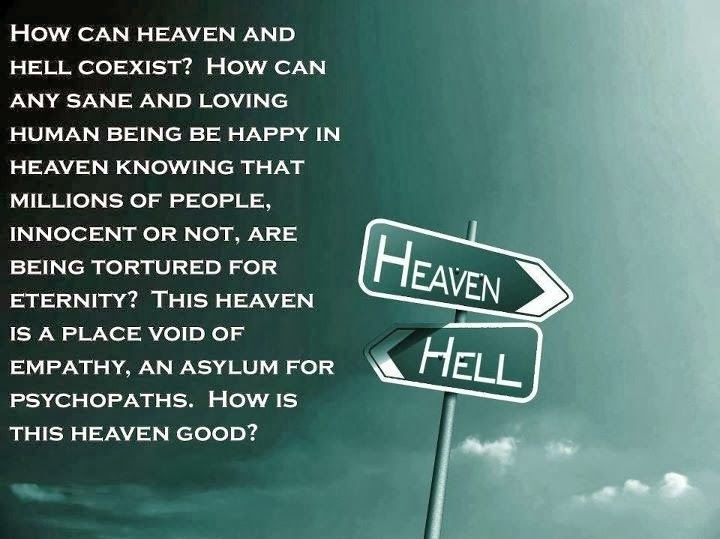 How can heaven and hell coexist? How can any sane and loving human being be happy in heaven knowing that millions of people, innocent or not, are being tortured for eternity? This heaven is a place void of empathy, an asylum for psychopaths. How is this heaven good?